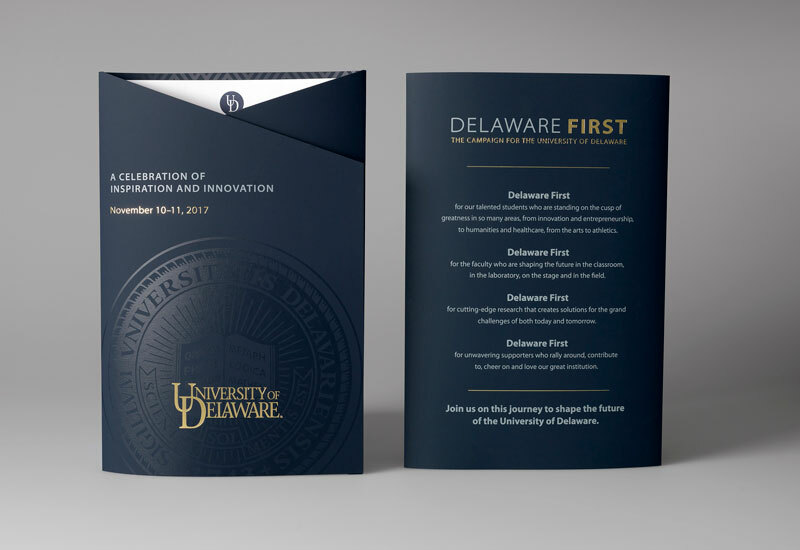 Brilliant recently partnered with the University of Delaware to create an incredible six-piece invitation for their Celebration of Inspiration and Innovation event as part of the Delaware First campaign. 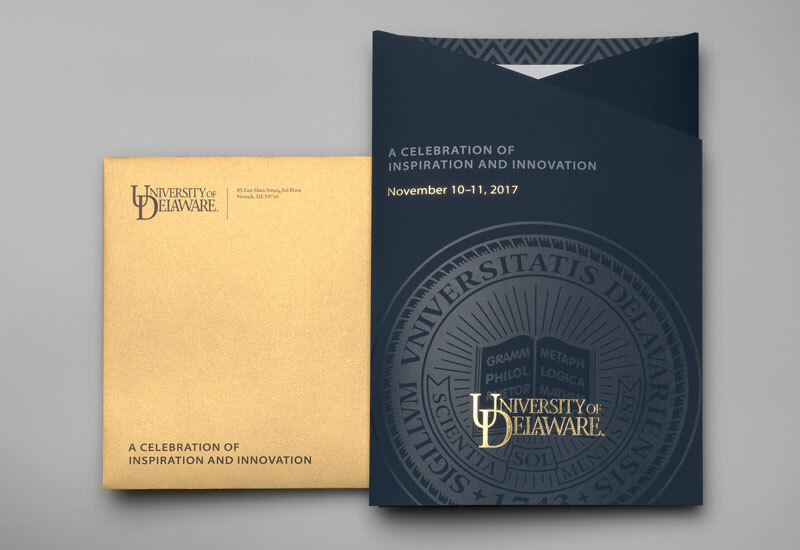 This campaign is the largest in the University’s history; its goal is to inspire positive change through innovative thought, in order to impact the community for the better. 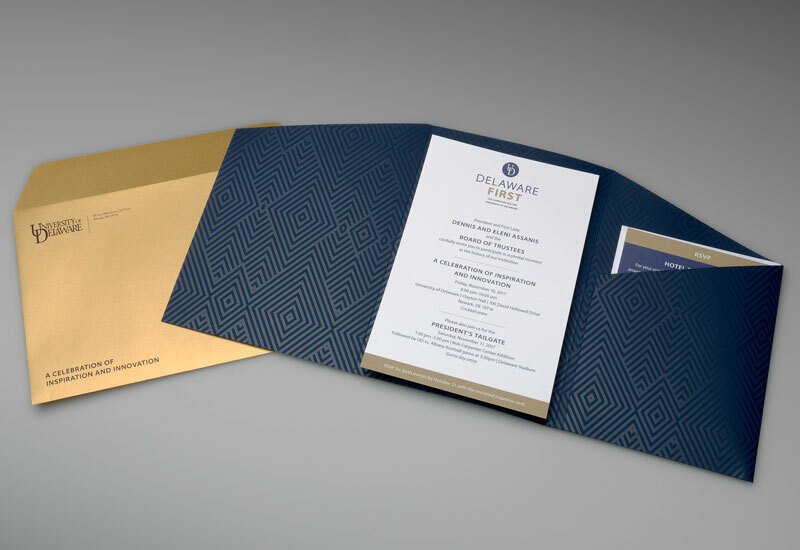 The outer pocket folder is die cut, and features two foil stamps with a spot varnish. With the arrangement of all six pieces, there is no doubt that the University’s grand vision emerged in the final production. See your grand vision come to life with Brilliant.